Living the lake life means finding the perfect present for the water sport enthusiast on your holiday list. With so many products on the market, what makes the best gift for your budget? 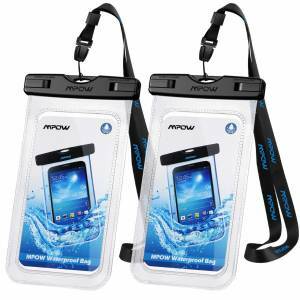 With over 5700 reviews (and a 4.5/5 star rating on Amazon), this universal pouch is designed to protect your phone on water adventures. Holds cash, keys, credit cards as well! Ranging from 5L to 40L sizes, this versatile bag will protect everything you put in and best of all it floats. 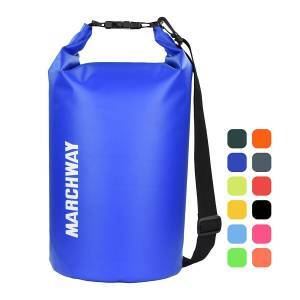 Available in tons of colors, this bag is lightweight, durable, and easy to clean. Did I mention it floats? It does. Does exactly what you expect and has a choice of five colors. 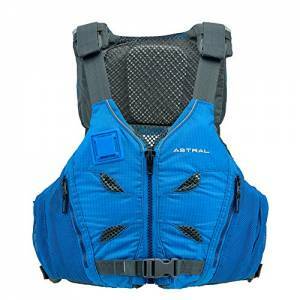 The Astral V-Eight comes in 3 sizes and fits true to size (which can be a challenge with other jackets). Looking for a bit more mobility for your aquatic fun? This is the answer! While there is a limited color selection, this is a good option and it comes in a little cheaper than the Astral V-Eight. In 7 foot and 8 foot options, these paddles come with a great warranty (2 years) and are lightweight (2 lbs 4 oz). With a 4.5/5 rating on Amazon, these are a great budget option for some quality paddles. These quality paddles are low weight to reduce fatigue and come in 3 sizes. If you’re searching for a great, quality paddle, this is it. …and, of course, a great gift for those in the Charlotte, NC area is a single season paddle pass for Cannon Water Adventures! Season paddle passes include unlimited 2-hour rentals for any of our rental equipment from April 15 until October 15, 2019. One day you can take out a kayak and the next day take out a paddle board. Tandem kayaks and boat tubes are also included. The season pass holder is allowed up to 3 active reservations in the system at a time. There are no blackout dates subject to online availability. Other benefits include 20% off additional rentals and 10% off select items at our waterfront store throughout the season. Join us next week when we look into gift ideas for the paddle board enthusiast at the top of your gift list!